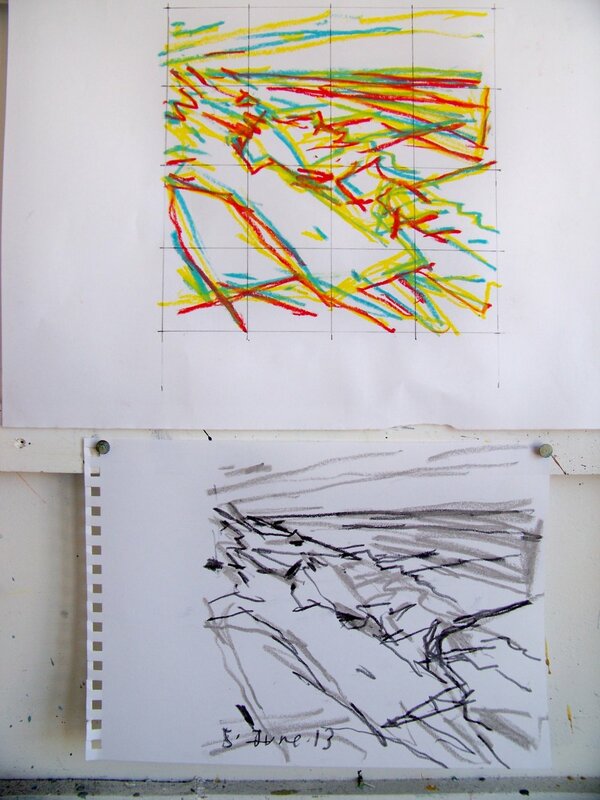 One of today’s drawings and above it an oil pastel drawing made in the studio. It’s the next stage, trying to think how it then becomes a painting, that it is the tricky bit. Most of today’s work was scrapped off at about 5 o'clock.